In 2012, The Mint Museum launched a museum-wide Latino Initiative. Building upon the Mint’s nearly 20-year history of participation and engagement with Charlotte’s growing Latino population, the initiative has four major goals: to strengthen the visibility of The Mint Museum throughout the Latino community; to broaden and diversify the audience base of family and adult visitors and members; to create opportunities for collaboration with other organizations in support of Latin American art and artists; and to position the museum at the center of Latino cultural life. Programs aimed at the Latin American community take place at the museum all year around, not only in October for Hispanic Heritage Month. Programing takes into account different groups within the community: families, young adults, professionals, adults, and artists. Community outreach events are also organized in order to support the work of local Latino organizations that make an impact in the community. Hearst’s support has made possible the successful implementation of these programs. At the same time, Hearst’s support has also allowed the museum to promote these events and programs through different Spanish-oriented media outlets such as newspaper and radio in order to reach the intended audience. Bilingual Stories & Music is a program for children (ages 0-6) and their families, held once a month on Saturday mornings at the Mint Museum Randolph. 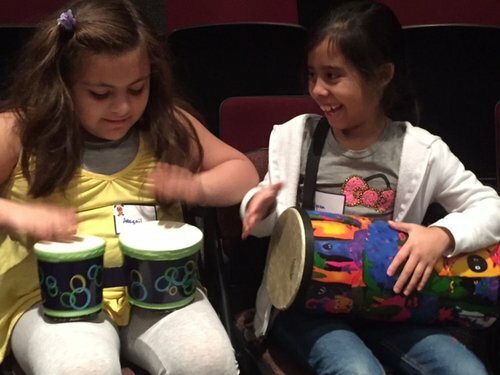 For this program, performers use a combination of bilingual stories (Spanish/English), music, musical instruments, toys, puppets, and games to interact with the audience. This program was created to reach out to Latin-American families living in the U.S. whose children are growing up bilingual. However, at the present, the program has attracted non-Hispanic families as well who see the importance of their children being exposed to the Spanish language and to Latin culture. The Mint Museum supports this program reaching out quarterly to the Latin-American community, bilingual preschools, libraries, and community centers. 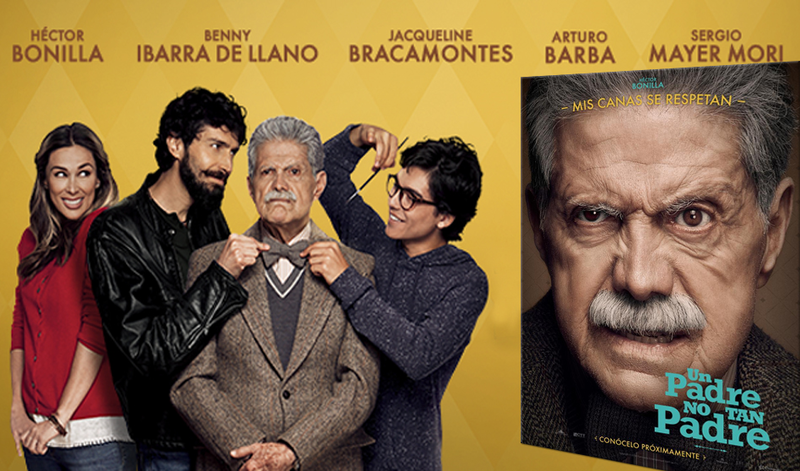 MintMatiné brings the best Latin films to Charlotte for the family. Each MintMatiné program will showcase those films that go unseen by most of America. MintMatiné films will get you thinking and understanding more about your Latin neighbors and beyond. The program also brings people from outside the Charlotte area since they do not have the opportunity to watch these screenings in other regions around. This Latin film series will start in February 2019 and will go bimonthly. It will be held at Mint Museum Randolph. Free popcorn. The bilingual camps Journey Though Latin America I & II (ages 6-11) were implemented in the summer of 2014. These camps are aimed at Latino children or children who seek a bilingual (English/Spanish) experience. Art teachers, a Yoga instructor, and a Spanish translator help make these educational programs fun, and entertaining. In the summer of 2015 twelve scholarships were awarded to Latino children from low-income families from Camino Community Center. The children attended these camps held at the Mint Museum Randolph for a full week program. They enjoyed exploring art, culture, movement, and music activities based on the museum’s collection of ancient Mesoamerican art. The Latin Music @ The Mint seeks to showcase different rhythms from Latin America, highlighting the talents of local musicians from the Latin American community. From classical music to Latin jazz, these concerts will provide a taste of the variety of cultures from all the corners of Latin America. The audience will be able to grab a glass of wine while listening to these nostalgic melodies, while being able to dance and sing along! 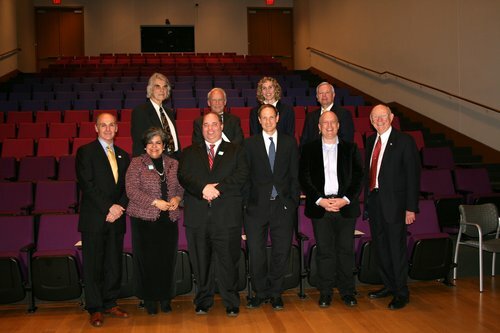 Given the succes of the roundatable discussion Connnecting Charlotte to the World back in January 2015, complimenting the exhibition Connecting the World: The Panama Canal at 100, the Mint Museum will present a series of round table discussion 2-3 times per year at the Uptown location. These discussions are aimed at bringing the most relevant leaders from the economic and cultural sectors to engage in a constructive dialog about different topics that include the arts and culture, the economy, government policy, diversity, and education. Held on one of the best dance floors in Charlotte, this bi-monthly drop-in event presents varied cultural themes. Mint to Move is not just a dance party; rather, it is an artistic and cultural experience paying tribute to artists and dance forms from Latin, African, & Caribbean countries. The event features such noted bands as Orquesta Mayor and other Latin bands twice or three times a year. Adults enjoy 4 hours of Afro-House, Afro-Cuban, and Latin American dance rhythms with a DJ, live musicians, and unique themes to celebrate multi-cultures, ethnic and gender diversity, dance, visual and performing art. Guests can semba, salsa, bachata, cha cha, line dance, and step to other dance forms relative to various global communities as well as enjoy other performing and visual art (i.e., live painting). Mint to Move also offers discount admission before 9:00 PM and free dance lessons at 7:45 and 9:00 PM with Rumbao Dance Company. Ballroom, salsa, and other dance programs are welcome. Complimentary snacks and party favors are offered while they last, along with a cash bar. 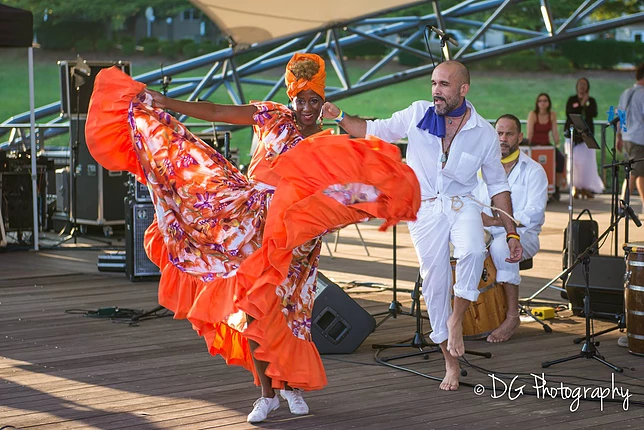 Community partners include ArtSí, the Puerto Rican Society of Charlotte, Rumbao Latin Dance Company, Comité de Fiestas Patrias y Tradiciones de Charlotte, Líderes Colombianos en Charlotte, Soy Latino Como Tú, Latin American Chamber of Commerce, LGBT Chamber of Commerce, and the UNCC Department of Africana Studies. Prior to Mint to Move every December, the Mint Museum celebrates Día de las Velitas, due to its parallel emphasis of community and unity. With a growing Colombian population in Charlotte, Día de las Velitas, the unofficial beginning of the Columbian Christmas season, has become a Mint tradition. Mint Música & Poesía Café features talented poets, dancers and musicians from the Charlotte area. This biannual event conveys renowned artists and rising stars. Listen to the voice of the classics through our guest artists or be inspired by new lyrics and verses. Our MMPC celebrates the Hispanic Heritage Month, and it is also tied with the current Latin American exhibitions at the Mint. The first one was held on October 17 with Mexican poet José G. Vázquez, Puerto Rican cuatro player Luis Sanz, and Alma de la Luna Dance Academy. The Mint Museum has several ongoing outreach initiatives as part of its mission to reach out to the Latino community. 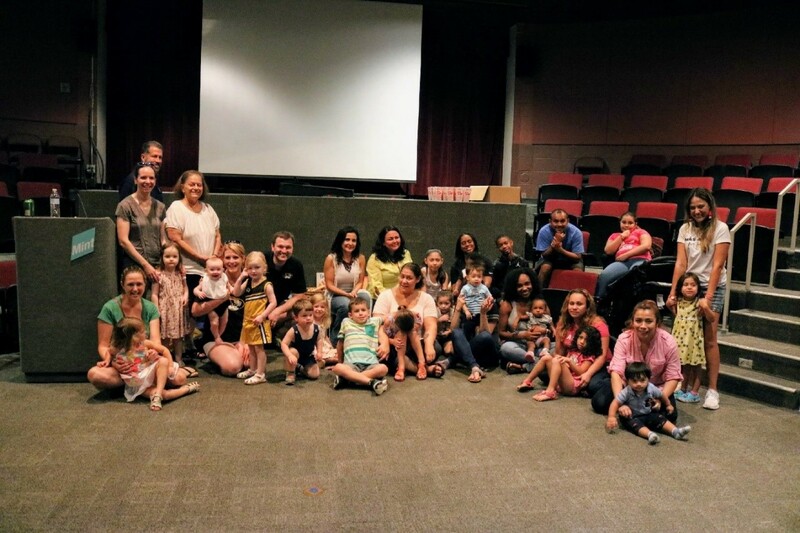 In April 2015, the Mint partnered for the third year with the Charlotte Mecklenburg Public Library to bring the event, Día de los Niños/Día de los Libros (known as Día) to the Mint. Renowned children’s book author Laurence Pringle was invited to give a presentation at the Randolph location for families and school teachers. The event was promoted in school magazines, Spanish radio, schools and through social media. The event took place the day before the big Día celebration in the Public Library branch located at ImaginOn. The museum has developed a close relationship with the local Latino artist community. The Mint Museum reaches out to local Latino arts community by providing support for the Con A de Arte (A is for Art) event as part of a partnership with ArtSi Charlotte, a local community initiative that seeks to promote Latin American arts and culture in the Charlotte area. Con A de Arte is an annual event that seeks to showcase the work of local artists from the Latin American community in the Charlotte area through presentations modeled after the TED Conferences which include visual art presentations, and performances by musicians, dancers, poets, and actors. This event has been taking place every year since its creation in 2003. 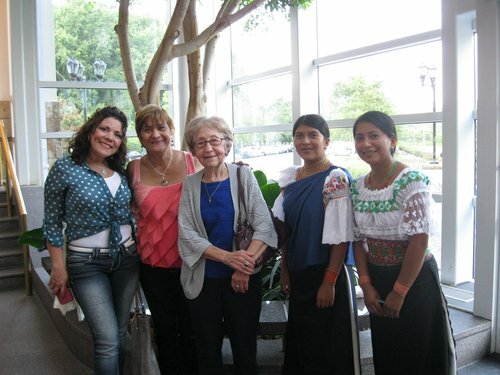 The Mint Museum supports the work of the Latin Americans Working for Achievement (former Latin American Women’s Association). 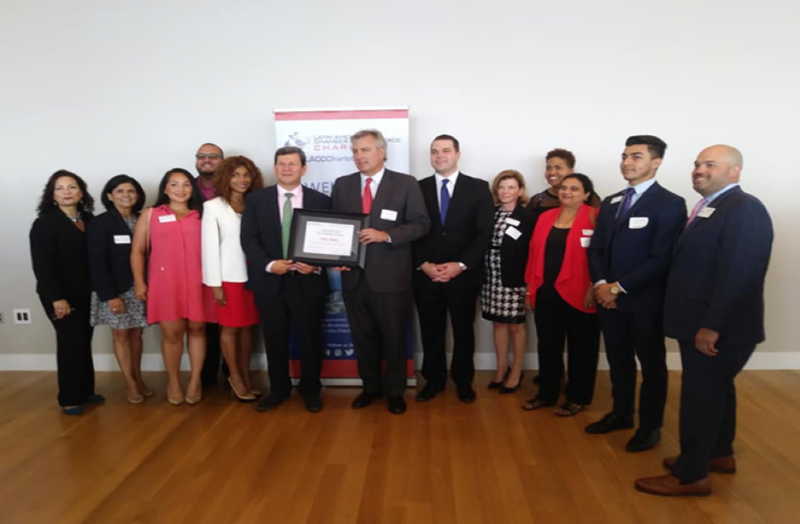 LAWA’s mission is to advance the education and quality of life of Latinos by providing scholarships for young adults from underserved Hispanic communities in the Charlotte area who otherwise could not afford to pay for college education. The museum hosts the scholarship graduation event at the Randolph location once a year. The museum also supports LAWA’s scholarship fundraising efforts by hosting a fundraiser event (Sabor Latino) at the Randolph location once a year. Discussion forums are also organized at the Mint Museum Randolph for LAWA’s families. The Museum has been supporting LAWA’s work since the year 2000. The Mint Museum supports Circle de Luz, a non-profit organization that provides mentoring to girls at risk ages 12 to 18 from underserved Hispanic communities. The graduation for the high school girls takes place at the Randolph location once a year. The museum also facilitates a separate workshop and gallery tour for the girls and their families once a year. By hosting these events, we hope the museum can become a second home for the girls and their families. Through a partnership with the Latin American Coalition, the Mint Museum brings the program MintMatiné: Latino Film Series to the public. Four film screenings are offered per year at the Mint Museum Randolph. MintMatiné seeks to showcase high quality films from different Latin American countries that otherwise do not make it to conventional local movie theaters. These films highlight the history and culture from different parts of Latin America. Many of these films have been screened at international film festivals. Although the program is aimed at the local Latino community, members outside the community also attend the film screenings. By partnering with the Latin American Chamber of Commerce (LACCC), the Mint Museum seeks to engage this business community into giving to the museum for specific exhibitions of interest to the Latino community such as Develar y Detonar: Contemporary Mexican Photography, Connecting the World: The Panama Canal at 100, and the work of Colombian artist Débora Arango. Besides sponsorship, the museum also seeks to engage members of the Latino business community for leadership and mentoring opportunities that can help support our mission of reaching out to the Latino community at large. LACCC luncheons are held at Mint Museum Uptown bimonthly with special keynote speakers such as City of Charlotte Mayor Vi Lyles, and Philip Dubois, UNC Charlotte’s fourth chancellor, among others. 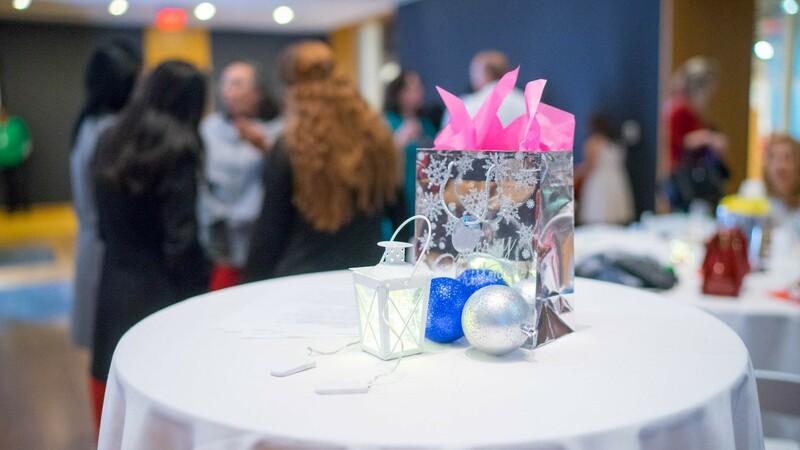 These events present great opportunities for networking and business chats. The luncheons are held at the Mattye and Marc Silverman Grand Room on Level 5 of the museum with access to the terrace and a breathtaking view of the city. The Puerto Rican Cultural Society is a 501 (c)(3) Non-profit organization, dedicated to preserve, promote and build cultural awareness about the vibrancy of the Puerto Rican people through education community outreach and empowerment. 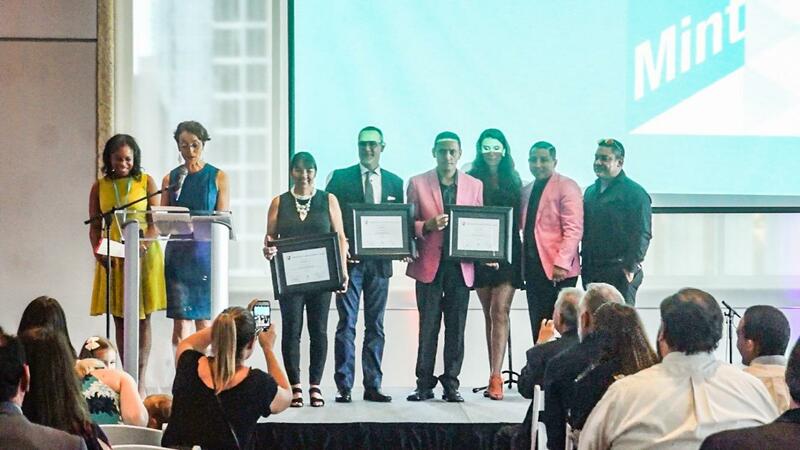 The Mint Museum partners with Soy Latino Como Tú and Fiestas Patrias to educate, empower and develop leadership skills by promoting self-confidence to the youth through cultural awareness. 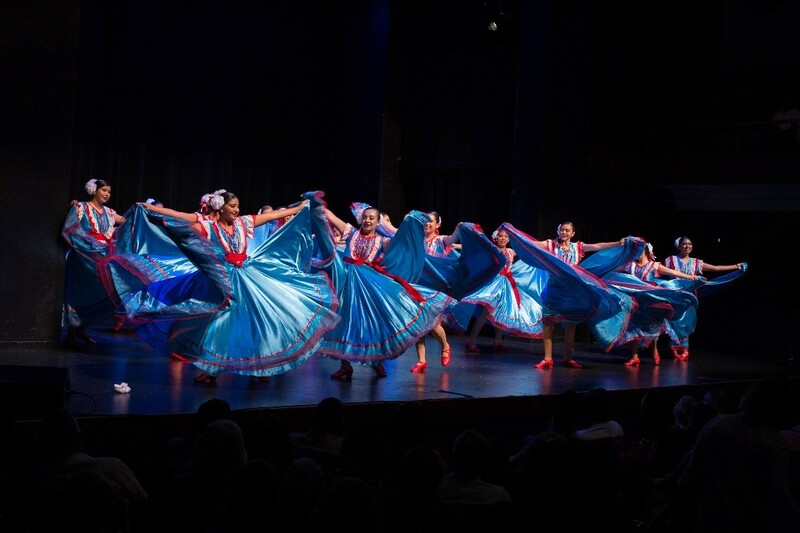 Mint to Move Cultural Dance Night brings a platform for these two organizations to showcase Latinx talent, musicians or dancers, to celebrate each Latinx country’s independence. Thanks to this partnership Día de las Velitas (Candle Day) has become a tradition here at the Mint Museum to celebrate the beginning of the holiday season. 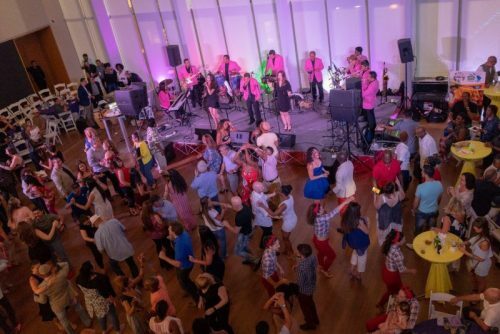 The museum partnered with Opera Carolina and ArtSi Charlotte to bring the first concert of Latin American music to the Mint Museum Uptown on May 21st, 2015. This concert, part of the series Art-Poetry-Music by Opera Carolina included the participation of talented professional local musicians from the Latin American community as well as the work of visual artists and poets from the local Latino community. 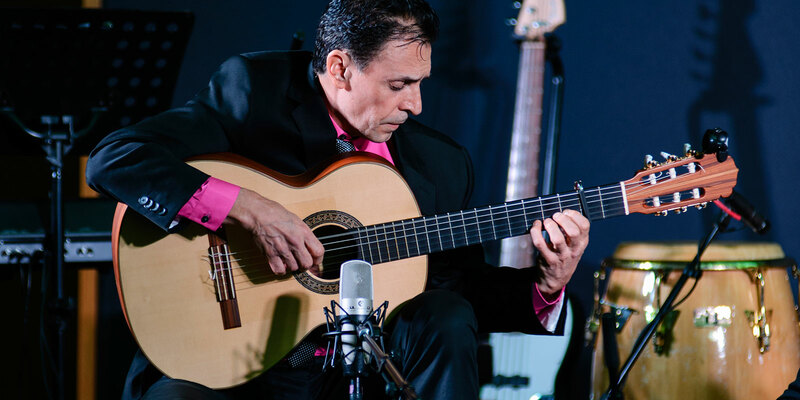 The concert Arte-Poesía-Música showcased a full range of music styles, from classical pieces to contemporary Latin jazz. The round table discussion Connecting Charlotte to the World was created to complement the exhibition Connecting the World: The Panama Canal at 100 and had the participation of distinguished leaders from different sectors of the Charlotte community. This event was free and it was open to the general public. The round table discussion had the goal of bringing the most relevant leaders from different economic and cultural sectors of the community to engage in a constructive dialog about the impact of the Panama Canal in the Charlotte region considering its current expansion.